Stiff person syndrome (SPS), an autoimmune disorder of the central nervous system, is known and named after progressive rigidity of the trunk muscles with comorbid spasms [1, 2]. SPS is frequently associated with high titers of anti-glutamic acid decarboxylase (GAD) antibody that is believed to target the brain and spinal cord synapses by affecting the production of the neurotransmitter gamma-aminobutyric acid (GABA) . Such immune attack affects GABA-mediated projections of the cerebellar Purkinje neurons resulting in debilitating forms of ataxia, gait, and eye movement abnormalities. The eye movement impairments in patients with increased titers of anti-GAD antibody include downbeat nystagmus, periodic alternating nystagmus, saccade dysmetria, and reduced accuracy of the smooth pursuit [4, 5, 6, 7, 8, 9, 10, 11]. There have been reports of single cases where increased titers of anti-GAD antibody were associated with isolated unidirectional (ocular flutter) or multidirectional (opsoclonus) . Each type of reported eye movement deficit suggests variable localization in the neuraxis. Downbeat nystagmus, impaired smooth pursuit, and defective vestibulo-ocular reflex (VOR) cancelation localizes to the cerebellar flocculus, while the impaired saccade matrix suggests abnormal function of ocular motor vermis and the fastigial nucleus. Saccadic oscillations and downbeat nystagmus suggested origin at more than one locations. Typically high-frequency saccadic oscillations are localized to disinhibition at saccade burst generators [9, 10, 12, 13, 14], while low frequency of saccadic oscillations can be due to disinhibition of fastigial ocular motor region that remains under cerebellar cortex regulation [10, 15, 16]. Position-dependent vertical nystagmus was recently described in one patient with syndrome of anti-GAD antibody . In supine position, this patient had upbeat nystagmus, while reorientation of the head with respect to gravity in upright resolved upbeat nystagmus; there was emergence of downbeat nystagmus . Alternating skew deviation and hyperactive VOR responses were also present . Such phenomenology of vertical nystagmus was described by disinhibition of the central vestibular pathways carrying posterior semicircular canal signals, due to paucity in GABA-mediated input from the posterior cerebellar vermis, nodulus ventral uvula . Here, we describe a patient with SPS due to abnormally increased but lower than typical titers of anti-GAD antibody (“low-titer anti-GAD antibody syndrome”) who had primary position upbeat nystagmus without gravity-dependent modulation. This report is important from at least two standpoints. From the perspective of neuroimmunology of anti-GAD syndrome, this is a unique manifestation of anti-GAD antibodies that are known to cause the cerebellar syndrome even at lower than usual titers (i.e., putatively novel epitope). From efferent neuro-ophtlhamology standpoint, this case report depicts novel cerebellar controlled neural integrator based theory for upbeat nystagmus, which is traditionally thought to be related to focal lesions in vestibular brainstem. A 72-year-old woman with known history of type 1 diabetes had progressive gait instability for 2 years and dysarthria for 8 months. She denied family history of ataxia or gait disturbances. Examination of neurological system revealed primary position upbeat nystagmus that worsened during upgaze. The eye movements were recorded using high-resolution videography and were further investigated off line using frame-by-frame analysis. Figure 1 depicts vertical eye position trace delineating the quantitative kinematic features of the upbeat nystagmus. The waveform had velocity decreasing downward drift (open arrows, Fig. 1), which was followed by an upward quick-phase defining the upbeat nystagmus (closed arrows, Fig. 1). The gaze was stable in downward position. On the lateral gaze, there was symmetric horizontal nystagmus, superimposed upon the upbeat nystagmus. The combination gave an appearance of oblique nystagmus. Pattern or intensity of the nystagmus had no gravity dependence. There was mild hypometria of saccades; pursuit was frequently interrupted by catchup saccades. VOR was normal, but the cancelation of the VOR had saccadic interruptions. There was a marked dysarthria with scanning characteristic of the speech. Dysmetria and kinetic tremor were evident during reaching movements of the finger-to-nose task. The gait was wide-base and markedly ataxic. Neurological examination was otherwise unremarkable. MRI brain with and without gadolinium showed mild midline cerebellar atrophy; there was no abnormal enhancement. Hemoglobin A1C revealed uncontrolled diabetes; the levels were at 6.9. The serum titer of anti-GAD 65 antibody was more than 30 U/ml. Three-day course of intravenous methylprednisolone or 5-day course of intravenous immunoglobulin was ineffective in providing symptomatic relief. The patient was followed at 6 months and 1 year, without any subjective or objective change in her symptoms or examination; the nystagmus persisted and had the same phenomenology. The primary position upbeat nystagmus, without gravity dependence, was the unique feature in our patient. The upbeat nystagmus in primary position, in most cases, correlates with intra-axial brainstem lesions. Two main mechanisms and corresponding anatomical localizations have been described. Lesions in the paramedian caudal medulla impair a feedback loop receiving afferents from the vestibular nuclei and projecting to the floccus [18, 19]; involvement of cerebellar feedback loop or otolith projections in caudal medullary lesion can result in gravity-dependent modulation of the upbeat nystagmus . In contrast, the modulation of the upbeat nystagmus according to the eye-in-orbit position, spontaneous upbeat nystagmus in primary position (straight-ahead gaze), its increased intensity in downgaze, and cessation or even direction reversal to the downbeat nystagmus in eccentric gaze suggests dysfunction of neural integrator for vertical gaze holding . The pontine lesions affecting the vestibular efferent tracts to the oculomotor nuclei can manifest in the neural integrator failure [18, 19, 20]. The upbeat nystagmus due to neural integrator dysfunction does not have gravity-dependent modulation; it does not change in lateral gaze, but latter can lead to superimposed horizontal gaze-evoked nystagmus with an oblique eye movement trajectory. The nystagmus due to neural integrator dysfunction also features exponential drift trajectory. Our patient had lack of gravity dependence of primary position upbeat nystagmus; the nystagmus was intense on up-gaze, while the gaze was relatively stable on downward orientation, and the waveform trajectory decayed in exponential manner suggesting neural integrator dysfunction. The lateral gaze holding revealing superimposed horizontal gaze-evoked nystagmus hence causing the oblique trajectory further supports neural integrator dysfunction. Unifying pathophysiological mechanism depicting the dysfunction of horizontal and vertical gaze holding integrator describes the basis for non-gravity-dependent upbeat nystagmus in conjunction with the gaze-evoked horizontal nystagmus in our patient with increased titers of anti-GAD antibody. It is likely that paucity in GABA-mediated projections from the floccular cerebellar Purkinje neurons to the horizontal neural integrators in medulla and vertical neural integrators in mesencephalon results in upbeat and gaze-evoked nystagmus. The paucity in GABA-mediated projections of Purkinje neurons also explains hypometria of saccades and pursuit. The titers of anti-GAD antibody in our patient (30 U/ml) was lower than typical cases with the same syndrome . Such low-titer anti-GAD antibody syndrome suggests two possibilities. One possibility is that, in presented variant of syndrome of anti-GAD antibody, the antibody epitopes are different compared to usual. Such epitopes can cause GABAergic dysfunction even at the lower titers of antibody. 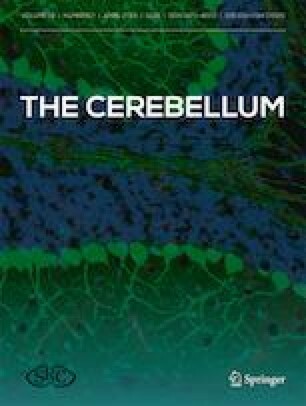 The other possibility is that, early on in the disease course, the patient had high titer of antibodies, and after serial therapies with intravenous immunoglobulin, the titers have reduced but the cerebellum has already acquired irreversible damage manifesting in GABA-mediated syndrome. Upbeat nystagmus, an unusual presentation of the syndrome of anti-GAD antibody, sheds further insights into the cerebellar-mediated pathophysiology that involves the neural integrator in generation of upbeat nystagmus.